C.P.H. Gilbert was a well-regarded architect of his time, gaining popularity for his design of regal mansions and townhouses, of which he designed over 100. 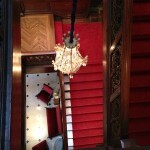 Most of his clients were wealthy and influential industrialists and bankers, just like Isaac Fletcher. 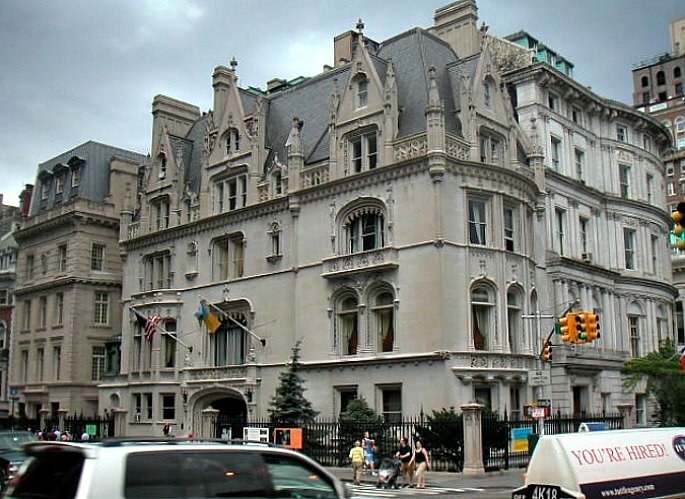 The mansion at 2 East 79th Street was constructed out of limestone, and Fletcher asked Gilbert to model it after William K. Vanderbilt’s neo-Loire Valley chateau. The fanciful asymmetrical interpretation boasts Gothic drip moldings, plenty of gargoyles, a high mansard slate roof, a giant entryway and a wealth of pinnacles. 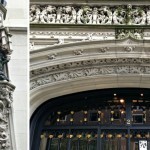 Other whimsical pieces of ornamentation include a winged monster on the chimney, a pair of dolphins on the entrance railings, and heads on the second-floor windows. The narrow Fifth Avenue façade is slightly less ornamented to blend in with the neighboring houses. At the time, the house was part of “Millionaire’s Row,” the stretch of extremely regal mansions on Fifth Avenue facing the park. When Fletcher died in 1917, he left his house and art collection, which included a painting of the mansion itself by Francois Raffaelli, to the Metropolitan Museum of Art. The Museum then sold the house, using the income to create the Fletcher Fund for print and drawing purchases. In 1918, the house was sold to self-made oil millionaire Harry Ford Sinclair, who founded the Sinclair Oil Corporation two years before moving into the house. It was the country’s largest independent oil company, but Sinclair became infamous when he acquired drilling rights to Wyoming’s Teapot Dome oil reserve in 1922. Secretary of the Interior Albert B. Fall was caught leasing Navy petroleum reserves at Teapot Dome to private oil companies at low rates without competitive bidding. He was convicted of accepting bribes from the oil companies, and became the first cabinet member to go to prison. Sinclair served six months in prison for jury tampering related to the scandal, but afterward returned to 2 East 79th Street until 1930. He also owned the St. Louis Browns baseball team and a horse who won the 1923 Kentucky Derby. When Sinclair sold the house in 1930, it was purchased by Augustus and Anne van Horne Stuyvesant, an unmarried brother and sister pair who were descendants of Peter Stuyvesant. 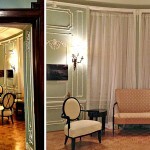 They moved from a house at 3 East 57th Street, as that part of Fifth Avenue had become almost completely commercial. 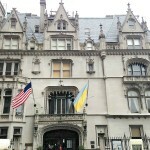 The Ukrainian Institute of America took over the building in 1955. 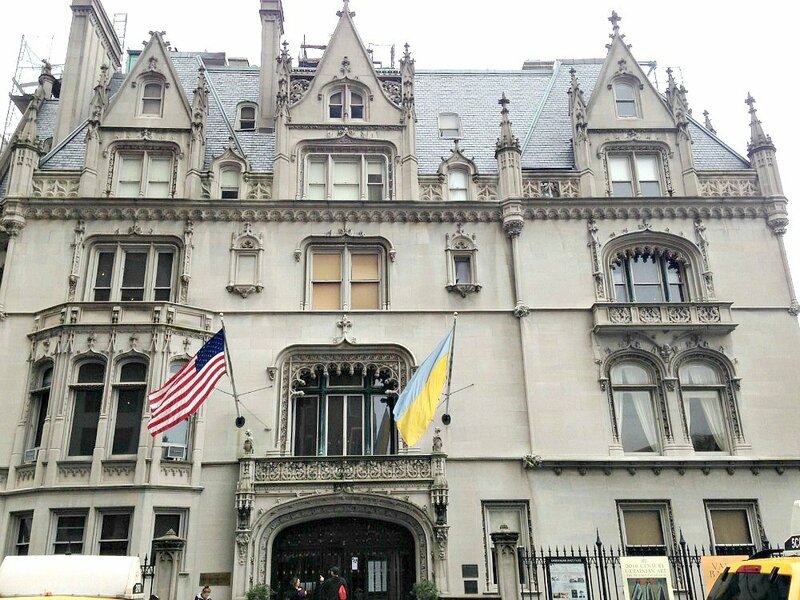 The organization had been founded in 1948 in West Islip, Long Island by Ukrainian industrialist and philanthropist William Dzus, but it wasn’t until they saw increased membership and moved into the New York City mansion, using funds donated by Dzus, that it started formally operating as a nonprofit. 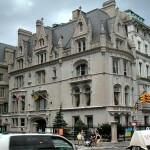 In 1962 the mortgage was paid off, and in 1977 the building was included in the Metropolitan Museum Historic District. 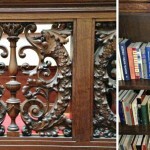 Though designation only protects the exterior of the building, the Institute has thoughtfully restored the historic interior over the years, preserving the ornate woodwork, marble fireplaces, decorative moldings, and chandeliers. 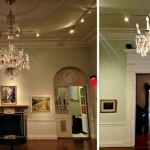 Today, many members of the public don’t realize that they can enter the mansion, but the myriad social gatherings (think art exhibitions, auctions, literary evenings, theatrical performances, lectures, concerts, and symposiums) put on by the Ukrainian Institute offer plenty of opportunities to tour the beautiful building. 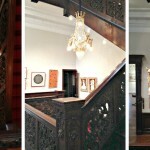 We took a tour in the fall during openhousenewyork and were not disappointed. Next time I am in NYC, I am visiting this with my brother, who is a fan of all things old, historical, and worth preserving.